Three vulture species saw an unprecedented decline of 97% to 99.9% in 1992-2007 from ingesting diclofenac in cattle carcass. With the vulture, it was the tragedy of the commons. Once, these large, ungainly birds were ubiquitous – seen in both cities and the countryside, perched on trees and electric poles, cliffs and housetops. They could usually be found hunched by the roadside, long, naked neck buried deep in the carcass of some unfortunate animal; or circling the sky in great numbers like a huge dark cloud. There were so many that no one thought to count them; indeed they were too numerous to enumerate. A survey across 18 protected areas in India was extrapolated to estimate that in 1991-1992 there were over 40 million vultures in India. In just over a decade, they were gone, their numbers plummeting to near extinction. Among three of India’s vulture species of the genus “Gyps”, the long-billed (Gyps indicus) and the slender-billed (G tenuirostris) had crashed by an astounding 97%, while in the white-rumped (G bengalensis), the decline was even more catastrophic, at 99.9% between 1992 and 2007. “This is the fastest decline of any bird species ever reported anywhere in the world,” said Asad Rahmani, former director of the Bombay Natural History Society. The slide is more dramatic than even the much-cited passenger pigeon. At 3 billion, the passenger pigeon was once considered the most numerous bird on the planet, but by the early 1990s, none remained in the wild. The last captive bird, Martha, was found dead in September 1914, in her cage in the Cincinnati Zoo. Initially, few noticed the vulture decline, with stray reports coming in from researchers and villagers who noticed that the birds were “simply nowhere to be seen”. 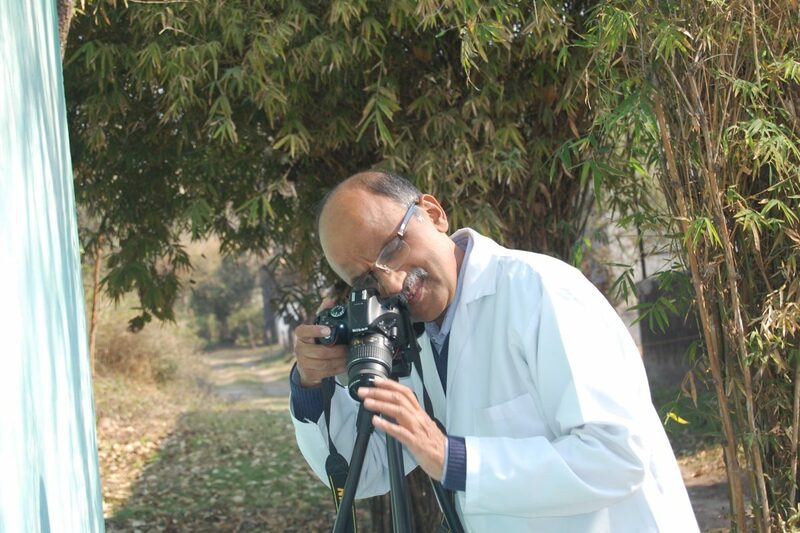 It was Vibhu Prakash, principal scientist with the Bombay Natural History Society, who first documented the decline in Rajasthan’s famous Keoladeo National Park, Bharatpur. 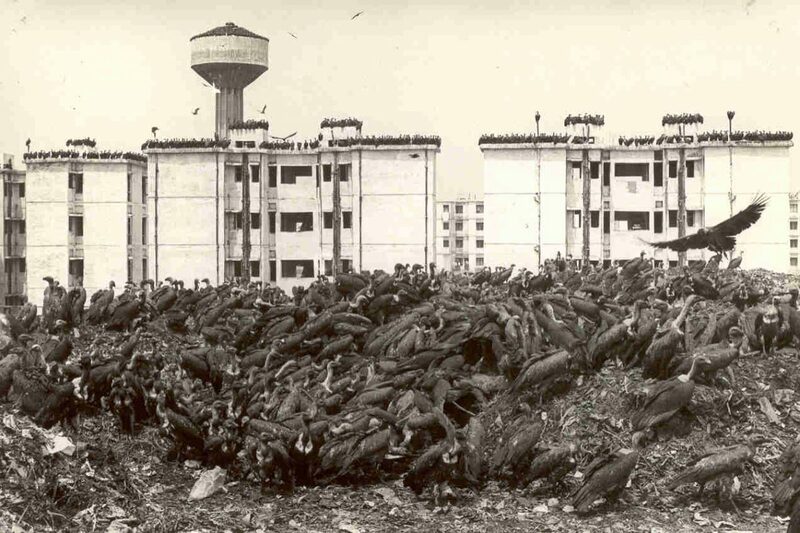 In 1987-1988, he had enumerated 353 nesting pairs of vultures in the 29 square km park; by 1996, the number had halved. To his shock, Prakash found dead vultures – camouflaged in the vegetation, on trees, and even in nests. “I was worried, perplexed, unable to understand what was going on with the birds,” he recalled. By 2000, not one vulture remained in Bharatpur, setting off an alarm, and soon anecdotal reports of similar declines were pouring in from across the country. The white-romped vulture, once described “as the most numerous raptor in the subcontinent”, had become the most imperilled bird of prey (or raptor) in the world. From millions, the population of the three Gyps species has been recently estimated to be about 20,000, that is, 12,000 long-billed, 6,000 white-rumped and the rarest being the slender-billed vulture at 1,000. By 2000, the International Union for Conservation of Nature declared all three species in its highest risk category – Critically Endangered. 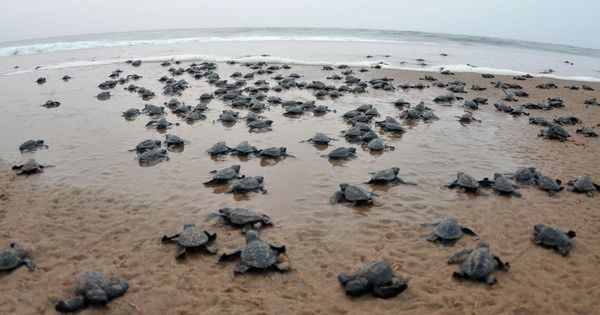 This is just a step away from extinction, unless urgent action is taken for its revival. It was not easy to resolve the mystery of this precipitous plunge. An avian population decline can be due to many factors – poaching, epidemics, habitat destruction – but none explained the rapidity, scale and expanse of the decline across South Asia. Initially, biologists reckoned bioaccumulation of pesticides as a potential cause for the loss of vultures, like DDT that had poisoned bald eagles in the United States in the 1960s. But while traces of pesticides were found in some carcasses, it did not explain the decimation of vultures. Some bizarre reasons were floated as well – villagers suspected that the “Americans had taken the vultures away” – a throwback on the theory of the “foreign hand” that blamed anything going wrong on sinister foreign forces. 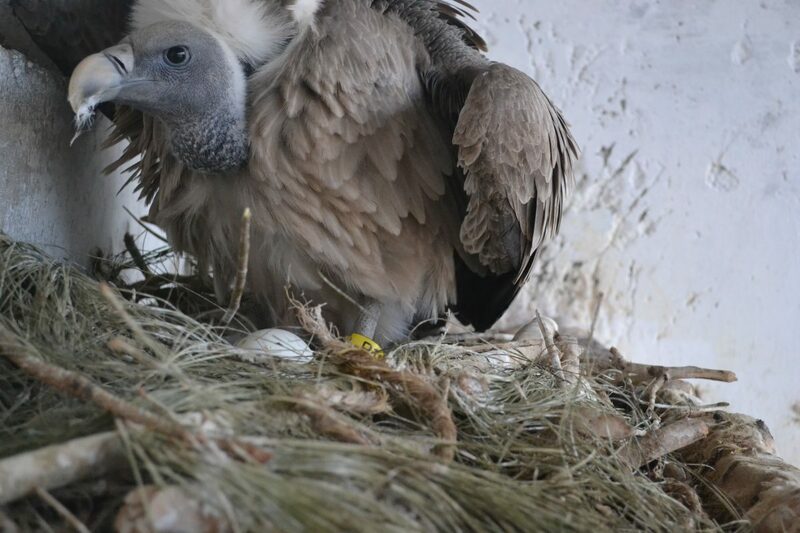 Adding to the difficulty was lack of diagnostic facilities, and bureaucratic red tape, which did not allow vulture remains to be shipped abroad for testing. Ultimately, it took the minds of many nations – an international team of over a dozen scientists under the aegis of the Peregrin Fund, and tests on vulture carcasses in Pakistan – to pin the culprit down to diclofenac, a non-steroidal anti-inflammatory drug administered to cattle. Vultures feeding on the carcasses of animals recently treated with the drug suffered renal failure that caused visceral gout and death. Initially developed for humans, diclofenac was a godsend for livestock owners who depend on their cattle for their livelihoods. It is a fast-acting, effective painkiller and also soothes fevers. Plus, it is cheap, costing about Rs 20, or less than half a dollar, for a dose. Vultures are scavengers, living off dead bodies, and cattle carcasses are the most common food source in a country with the world’s largest cattle population, and where handling of carrion has religious and caste taboos. It was left to the vultures to do the unsavoury job of efficiently getting rid of rotting carcasses. The long naked necks of vultures – especially of the Gyps genre – are designed to dig deep into a carcass for the soft innards and offal. They are so efficient that an army of vultures can strip cattle or deer down to the bone in 20 minutes. Of India’s nine species of vultures, diclofenac affects mainly three of the five species in the Gyps genus. The Eurasian Griffon Gyps fulvus and Himalayan Griffon Gyps himalayensis, while impacted, were spared the massive decline. “These species are migratory, many breed in the upper Himalayas and Central Asia where the use of such drugs is rare,” explained Prakash. The king vulture and the cinerous vulture have tougher beaks, and feed on the hide and tough meat and tendons, and possibly did not fall victim to diclofenac. Beyond those concerned with conservation, few mourned the passing of the vultures. Like with most creatures, humans have a schizophrenic relationship with vultures. In India, it is worshipped as Jatayu, the vulture god of the epic Ramayana who died protecting goddess Sita. When the demon king Ravana was forcibly flying away with Sita, Jatayu tried to stop him but was overpowered by Ravana, who chopped off his wings. 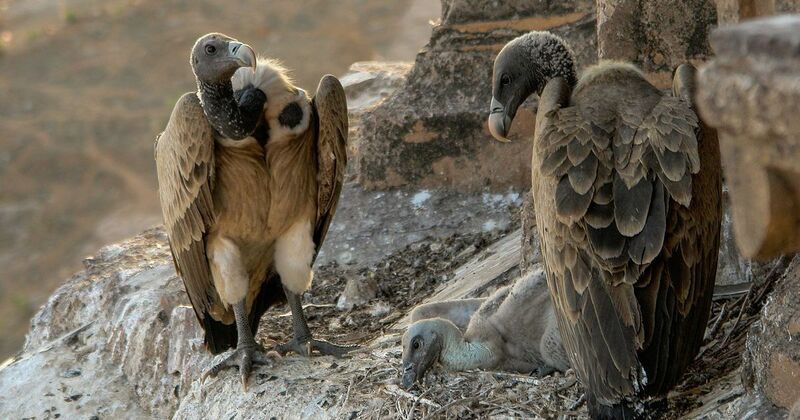 Yet, vultures have always been viewed with distaste and associated with morbidity as harbingers of death. In common lexicon, a vulture has negative connotations, used as a metaphor to describe someone who preys on the weak or benefits from the misfortune of others. But we had it wrong. The bird plays a valuable role in the ecosystem as a scavenger. Their speedy, efficient disposal of bodies does not allow deadly bacteria to develop and spread. High body temperatures and strong stomach acids allow vultures to ingest carrion infected by bacteria such as anthrax without any ill-effects. The dramatic decline of vultures created a vacuum, and millions of carcasses were left rotting, increasing the possibility of the spread of diseases such as tuberculosis, anthrax, brucellosis, foot-and-mouth. 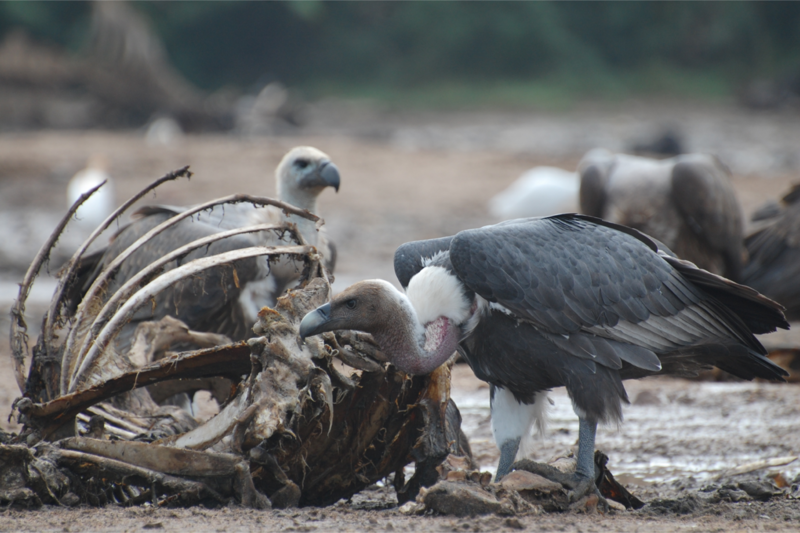 Other scavengers such as rats and feral dogs moved in but they lack the efficiency of vultures, whose metabolism is a true “dead-end” for pathogens. Dogs and rats, instead, become carriers of the pathogens, spreading disease. A marked increase in the dog population – an estimated 5.5 million – coincided with the period of vulture declines. Prakash has documented this localised increase in garbage dumps, such as the one at Jorbeer in Bikaner, Rajasthan, where about 100 dogs lurked before the decline of the vulture population. Their numbers rose to over 1,200 post the catastrophe with the easy availability of food-carrion. The dogs, he found, were even breeding in the rib cages of carcasses! A study on the wider implication of the vulture die-off indicated that this sudden increase in dogs is thought to have at least partially caused the rabies outbreak (38.5 million additional dog bites) estimated to have killed 47, 300 people from 1992 to 2006 in India. The loss of one bird has led to a health crisis. A conservation catastrophe has led to human tragedy. The decimation of vultures also had another unexpected consequence. With the near extinction of vultures, the Parsi or Zoroastrian community is finding it difficult to sustain their unique funeral rituals, where they dispose their dead in “Towers of Silence” to be consumed by scavenger birds of prey, mainly vultures. Parsis hold land and water sacred and burying or cremating the dead is seen as polluting nature. 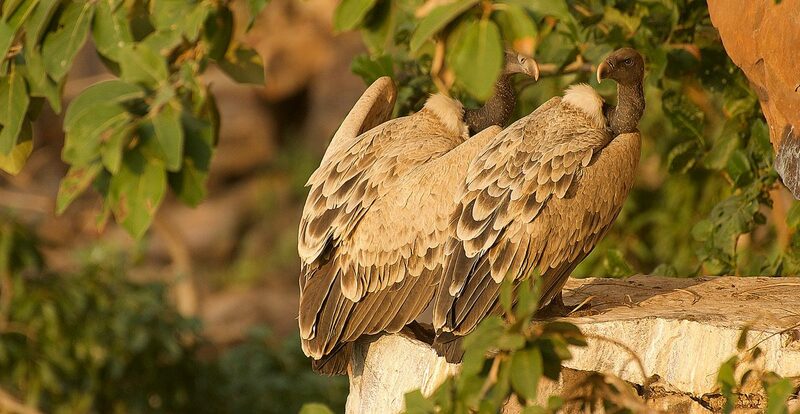 The decline in white-rumped vulture populations was 43.9% annually. Studies by Prakash and others showed that for a slow breeder like the vulture, which lays one egg at a time and has an eight-month breeding cycle, there is little scope for revival if the loss is more than 5% a year. But there is good news. A survey published in the Cambridge Journal in December 2017 shows that the declines in India have slowed and even reversed for the white-rumped, albeit at very low levels. India banned the veterinary use of diclofenac in 2006, since in that year the Vulture Action Plan, initiated by the Environment Ministry, recommended the ban and also prioritised identifying safe diclofenac substitutes. Pakistan and Nepal saw similar revivals, since both countries had also banned the veterinary use of diclofenac. Another action identified was to establish ex-situ or captive populations for breeding and ultimately repopulating the wild. This has also been taken up aggressively in India, Pakistan and Nepal since 2004. The Jatayu Conservation Breeding Centre in Pinafore, a joint effort of the Bombay Natural History Society and the Haryana Forest Department, is the flagship of eight such breeding centres in India. 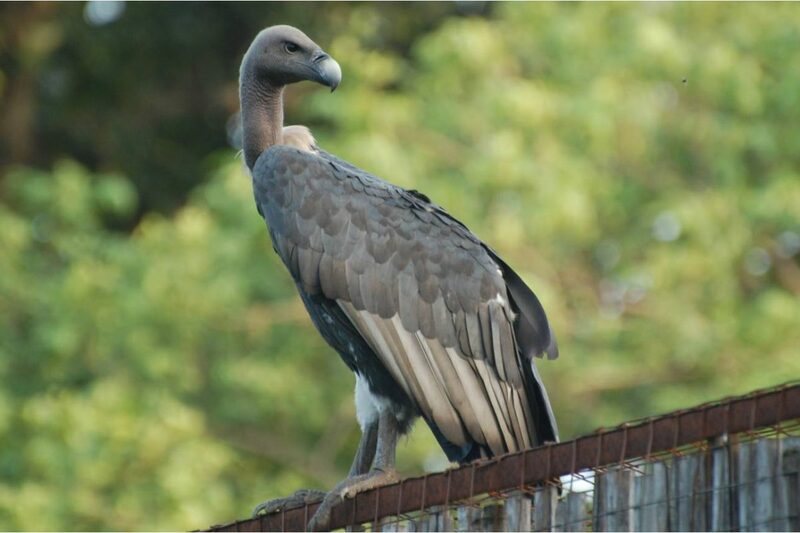 A total of 162 vultures of all three affected species have been bred and raised in captivity. While two rescued Himalayan griffon, in captivity for over 10 years, were released in 2016, the first captive bred white-rumped vulture is set to venture into the wild in 2018. It is important though that the wild is secure, and the released birds do not fall prey to diclofenac, and a 100-square-km radius safe zone has been declared around all conservation breeding centres. Prakash, who also heads the Pinjore centre, explained that there is vigorous monitoring of the diclofenac ban, and awareness campaigns are carried out with pharmacies and cattle owners within these safe zones. Surveys also showed that the use of diclofenac has declined. Before the ban, diclofenac traces were found in over 10% of cattle carcasses surveyed, which had dropped lower than 2% in 2013, though Rajasthan remained a concern with over 5%. In a pharmacy survey carried out during 2017, it was found that the drug was no longer sold in Assam. Even with this sharp drop in use, and identification of Meloxicam as a safe alternative, human diclofenac formulation continues to be illegally administered for veterinary purposes. To close this loophole, in July 2015, the Indian government limited availability of human diclofenac formulation to 3 ml, banning large vials of 30 ml (not required for treating humans), which was convenient for veterinary use. Two drug companies challenged this decision but the Madras High Court upheld the ban. In its judgement of October 24, 2017, Chief Justice Indira Banerjee and Justice M Sundar stated that “vultures are universally accepted as ‘natural sanitary workers’, absolutely essential for environmental and ecological balance. Therefore, preservation of vulture population is non-negotiable”. 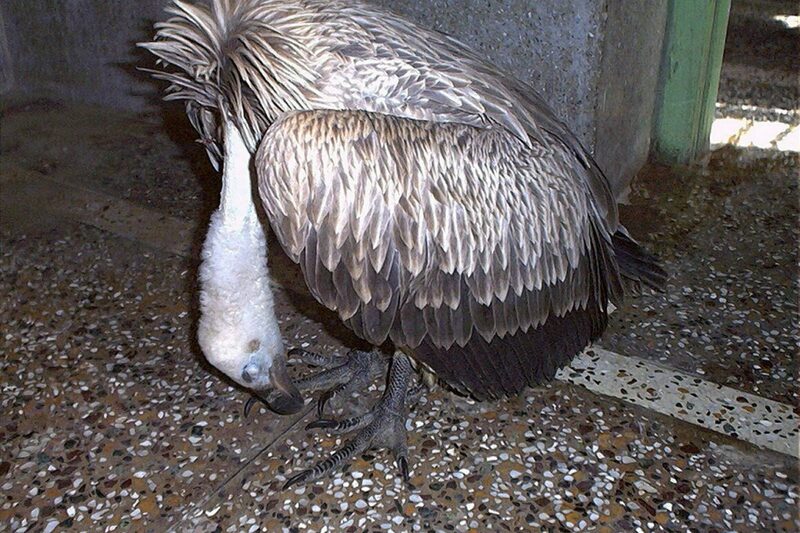 Other NSAIDs – aceclofenac, carprofen, flunixin, ketoprofen – toxic to vultures are still in use and must be discontinued. There is currently no initiative to ban these drugs and officials from the Ministry of Environment, Forests and Climate Change assert that “it will be difficult, and likely meet with stiff resistance from the powerful pharmaceutical industry, as was with the case of banning of the large diclofanec vials”. Satya Prakash Vashishth, deputy inspector general of forests (wildlife), Ministry of Environment, Forests and Climate Change, says that one critical component required for the recovery of vultures is cooperation from other concerned departments, such as health and animal husbandry, without which the bans will be ineffective. Complete disuse of diclofenac is critical as is safety testing of any new veterinary drugs. Also important is the development of efficient carcass disposal systems, added Prakash. Vultures prefer wild carrion to cattle since their meat is more nutritious, high on proteins and low on fat, unlike that of cattle. Other measures to arrest the decline include the establishment of more safe zones, protecting breeding sites, which continue to be destroyed for real estate, industry, infrastructure and other development projects – a case in point being the Ken-Betwa river linking, which will submerge a crucial nesting site of the long-billed vultures in Ken river gorge in Panna Tiger Reserve in Madhya Pradesh. Sources in the ministry say clearance has also been accorded to a ropeway in Girnar Wildlife Sanctuary in Gujarat, a nesting site of critically endangered long-billed vultures. Tellingly, this is one of the few sites where vulture populations had recorded an increase in their populations. Ironically, the same Ministry of Environment, Forests and Climate Change that is signing away crucial vulture breeding habitats lists vultures among 17 rare species under its recovery programme for saving critically endangered species and habitats, and funds programmes, including captive breeding, for its conservation. Other threats that can slow recoveries also need attention. Transmission lines and wind turbines are known to take an increasing toll on vultures. Poisoned cattle carcasses targeting leopards, lions or tigers inadvertently kill large numbers of vultures – as has been seen in both India and Africa. For years condemned as harbingers of death, the value of vultures has only been realised when they are virtually at death’s door.